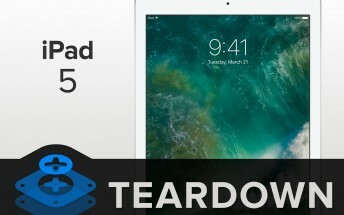 iFixit has performed its ritualistic teardown of the latest iPad from Apple that was announced last week. This gives us a closer look at everything that’s inside. The primary difference is the chipset, which is the same Apple A9 that is found inside the iPhone 6s and the iPhone SE. But there are some other changes too. For one, the new iPad is thicker than the Air 2 that it replaces and is almost as thick as the original iPad Air. This comes with a corresponding increase in battery size, which at 32.9Wh is larger than that in the Air 2 and roughly same as the one inside the original Air. 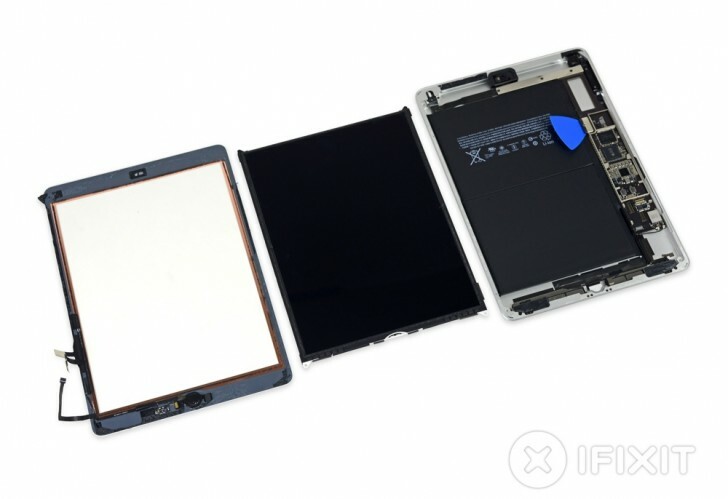 The new iPad also uses the same display assembly as the original Air. This means the display and the digitizer unit are separate. This is a win for repairability as you can replace either part independently but it also means there is now an air gap between the glass and the display, something that was a bit of an eyesore on older iPad models and fixed on the Air 2 onwards. Other minor things include the lack of a sliding silent switch on the side, same as on the iPad Pro models, TouchID sensor from the Air 2, and minor redesigns to the microphone and speaker grilles. The new iPad is now available from Apple starting at $329.